Almanacs were extremely popular books in the farming community, largely because of their weather predictions. Farmers would use these predictions to help plan the planting season. Herman Poole. 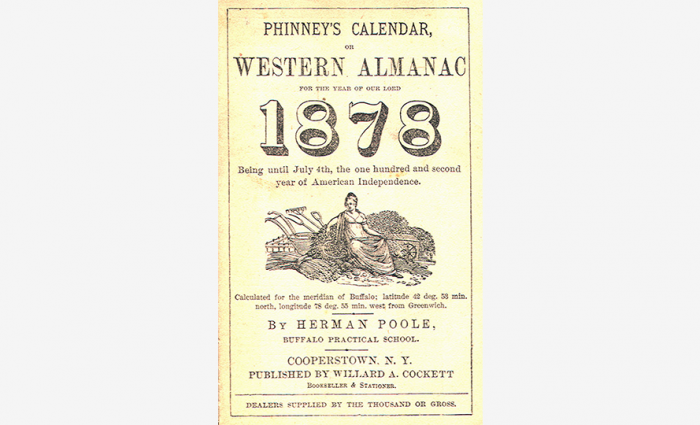 Phinney’s Calendar or Western Almanac. Cooperstown, NY: Willard A. Cockett, 1878.